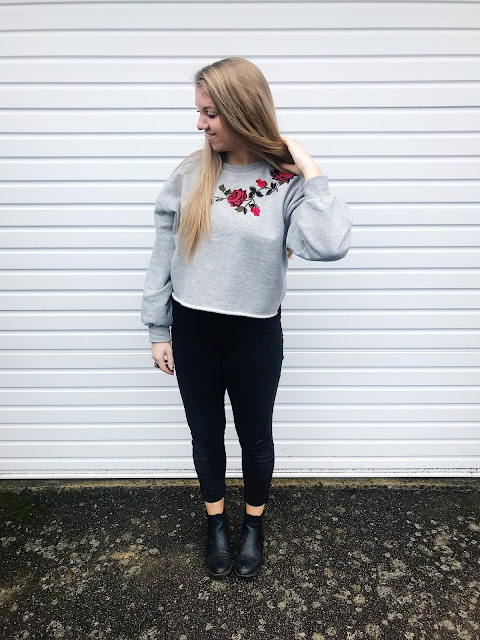 Wearing (click for links): Jumper - Miss Selfridge, Jeans - Topshop, Boots - New Look. This post is probably a little late but today is my official day off university work. I handed in my last essay yesterday so in celebration I am having a lazy morning in bed and going shopping this afternoon! Finish my degree with a 2:1 and feel proud of it! This is my absolute main focus for the first Half of this year I have 126 days left of my degree, 126 days until I hand in my dissertation. Wow, that's a scary thought, but also actually really a welcoming thought. These next few months are going to be tough and are just going to be head-in-the-sand studying to get to that finish line. I will be so unbelievably happy to have finished. To not have anything to read anything, or do essays or feel tied down to finishing a book quickly. I want to do my best so I can be proud of what I accomplish. I think a lot of people would describe me as a positive person. And I think I used to be, and I can still seem on the outside. However in the latter part of 2017 I feel like I slowly lost that part of me, I started becoming negative and would worry constantly about things I know can't change. I need to get my positive thinking self back, I need to start weeding out the bad thoughts and ensuring I wake up the day with at least one positive thing to look forward to. I don't think anyone would necessarily call me unkind, but I don't think kind is specifically a word that people would use to describe me. I want to care more about people, I want to be there for them, and for them to know I am there for them. I would like to be more forward thinking about what I say, and how this can affect people, or how I can help.